...because they'll be building a wall. I'm all for protecting an event like this and wouldn't the stands be built in the best view anyway? I get security guards patrolling the paid seats (stands, etc) but why prevent local residents with a water view, etc from enjoying the event from their balcony? Why make a public park temporarily private? 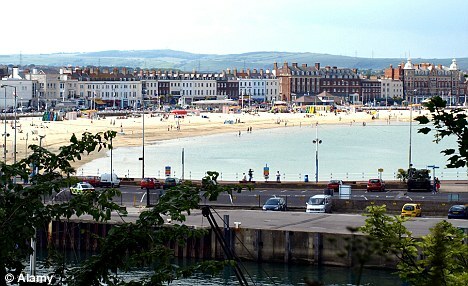 Residents of Weymouth in Dorset will not be allowed to watch the 2012 regatta without a ticket even if their property overlooks the sailing competitions. In a bid to stop people catching a glimpse of the Olympic regatta, officials have closed off the public park that boasts sea views. 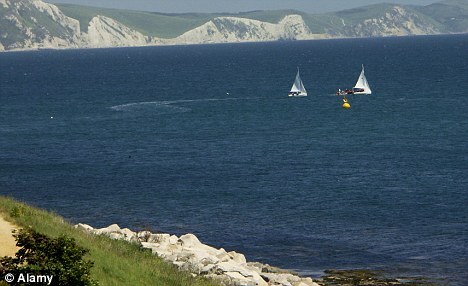 A wall will be built around Nothe Gardens at Weymouth and Portland that stretches across 40,000 square metres of land and will play host to sailing events. The park that is popular with residents could be out of bounds for walkers for up to four weeks while fences are erected and removed in preparation for the games. People who have been using the public land for decades will be stopped from doing so by security guards.